This summer has been great we have caught many types of sea creatures such as green crabs spider crabs and small fish today we also caught for the first time ever a really big eel in one of the traps which I was really surprised to see because I've only seen eels down in the Bahamas before but today was a first for me and it was really exciting. The eel was very slippery we let people look at it for a while and everyone seemed very intrigued. We also found out that we would be getting our tent back which is nice because when it's hot it's always nice to have shade. This week we have new team members in our group at the children's museum which is nice because its always great to make new friends and meet new people. I hope that I will be able to see my other friends as well because they were all really nice sometime before the end of the summer, but as for now the new people I'm working with all seem really nice and friendly. 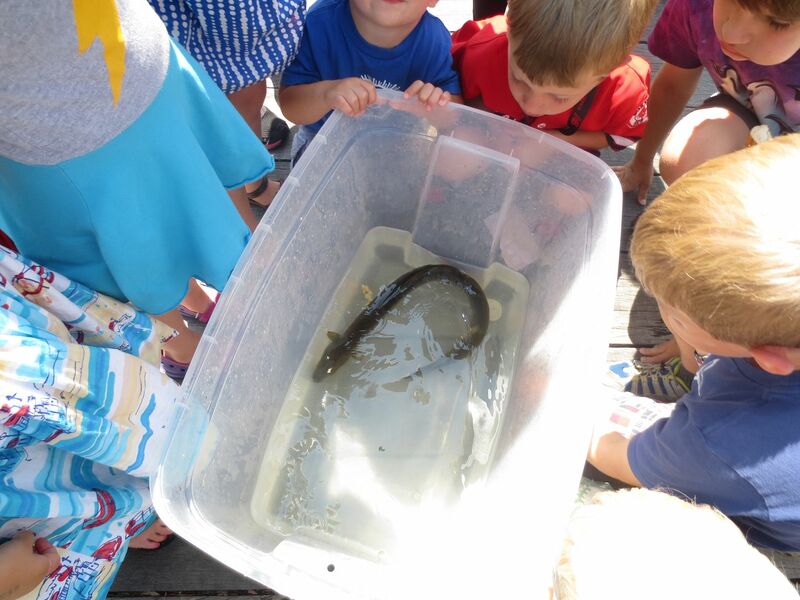 I also hope to catch more unexpected sea creatures like the eel before the end of the summer. This is me signing off saying have fun and enjoy life.